Call (855) 907-7233 to begin the traffic control permitting process. The permit process is a time-intensive, frustrating, and detail oriented process that most companies don’t have the time or manpower to complete. Roadway Construction Service’s personnel not only know the process, but also have built and maintained relationships with these agency personnel for many years. Those relationships allow Roadway to obtain your permits quicker and easier. 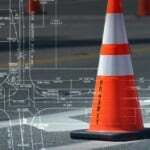 Why deal with the headache and running back and forth when you can have Roadway Construction Service obtain your traffic control permits while you focus on what you do best.